When singer/songwriter Eric Durrance was growing up in Tallahassee , FL , he used to spend his summers exploring a geological landmark known as "Big Dismal". The site is characterized by a massive sinkhole where 100-foot walls plunge straight down to the water below. As an adult, the title of the landmark took on a new meaning for the singer and the band that would adopt this name as their moniker. 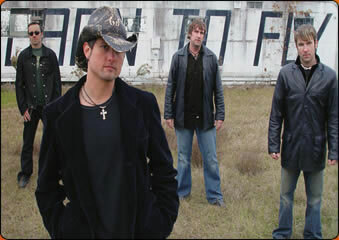 Believe, on Wind-up Records, was the Tallahassee-based quartet official debut, appearing in May 2003. It showcases a familiar and faith-based post-grunge sound similar to Creed or 3 Doors Down. It delivers powerhouse rock bolstered by singer/songwriter Eric Durrance's acoustic-conjured melodies and lyrics that reflect the group's strong Christian faith. He mentioned, "This first record is a lot about love, heartache and getting through tough times," he says. "The average person is going to relate to these songs." Eric Durrance was raised a Southern Baptist. His mother was a musician who performed regularly in clubs and his father was a semi-truck driver. He recalls, "During my early years, I wound up at my grandma's a lot. She taught me so much about life and religion—she is such a strong force in my life. The first single, 'Remember (I.O.U. ),' is dedicated to her, and the song pretty much explains the whole story of being brought up (in part) by my grandmother." As a child growing up in the 80's, Eric was exposed to an array of influences the decade had to offer. "I was into all the hair bands," he confesses. "I had Motley Crue posted all over my wall, but I also had a little country influence. Coming from the Southern Bible Belt and being raised by my grandmother, country music was always around. I think I learned a lot about how to put words together from country music." 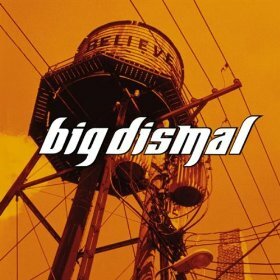 Soon the band was assembled around Durrance featuring drummer Jeff Chomin, bassist Gary Sobel and guitarist Chuck Shea, who co-wrote some of the material on Big Dismal's debut. Believe was recorded at Ocean Way Studios in Sherman Oaks, CA and produced by the legendary Jack Joseph Puig (John Mayer, The Black Crowes). Big Dismal's collective favorite is the compelling closing number. "'Losing You' is the one that came out exactly how the band envisioned it," Durrance says. "The music, the bridge, the strings, the conviction of the vocal—it just turned out perfect. Most importantly, the overall message of the song came across the way we wanted it." In spite of the group’s positive fan and radio reception, the critical acclaim of its May 2003 Believe album, and being named one of "Five Christian Bands on the Rise" by Rolling Stone and hit No. 3 on the Christian charts with its Reality single, Big Dismal disbanded in 2007 and its members, including frontman Durrance, moved on to other musical projects.